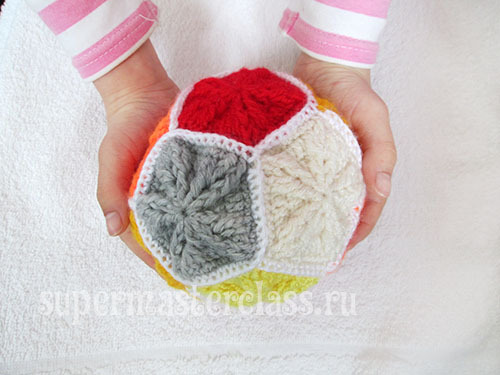 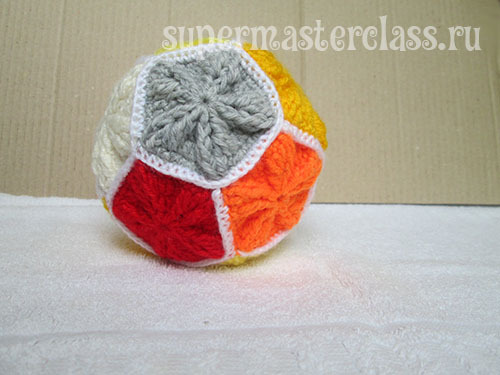 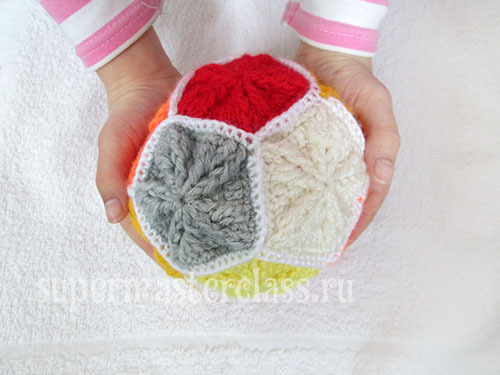 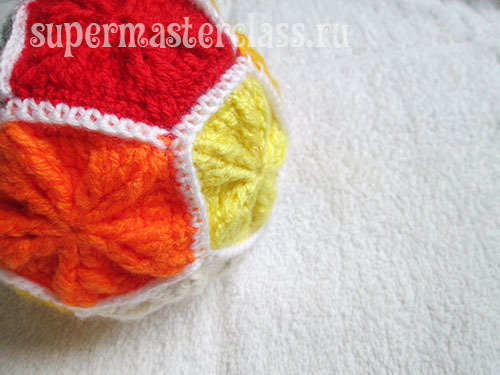 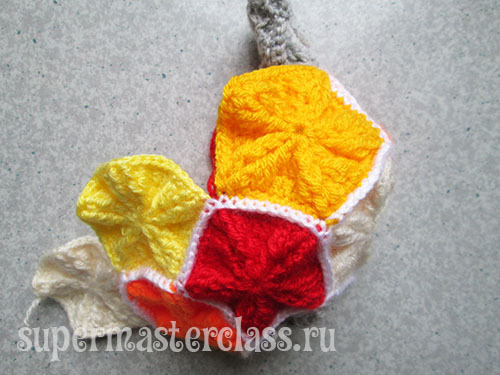 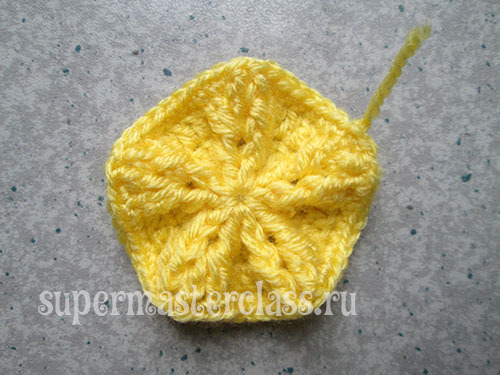 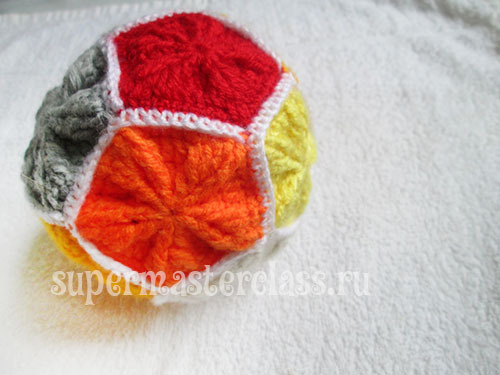 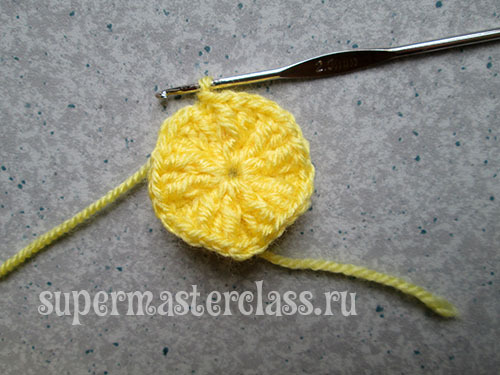 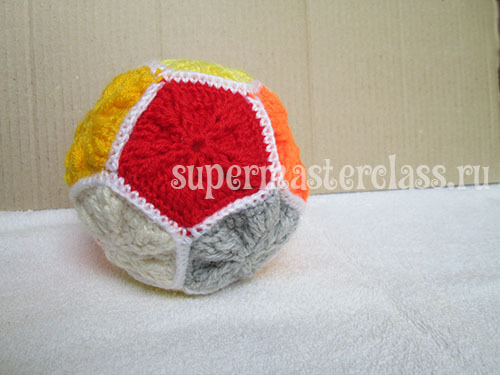 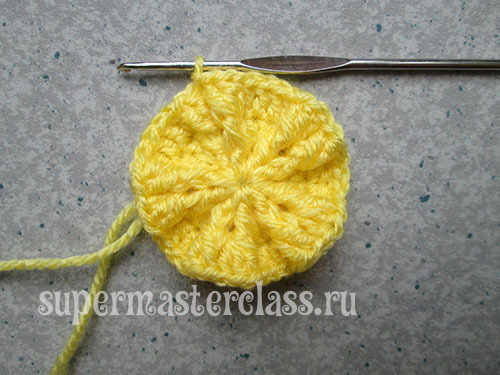 From the remnants of thread you can make a ball tiedcrochet. 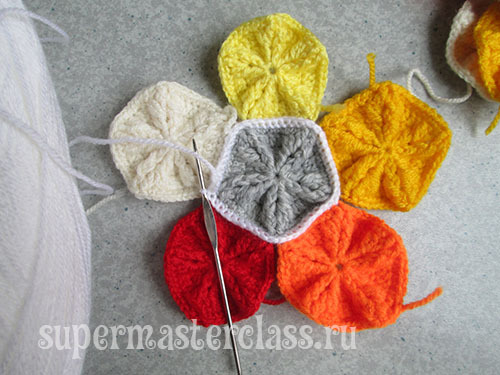 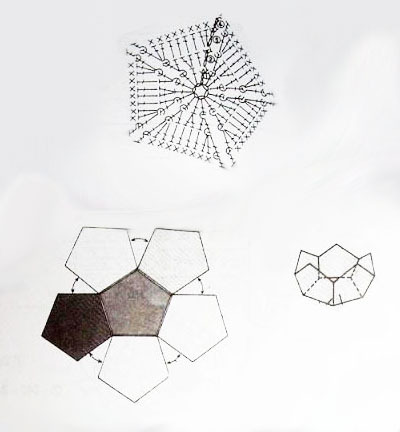 Each fragment consists of only 4 rows, so it knits quickly. 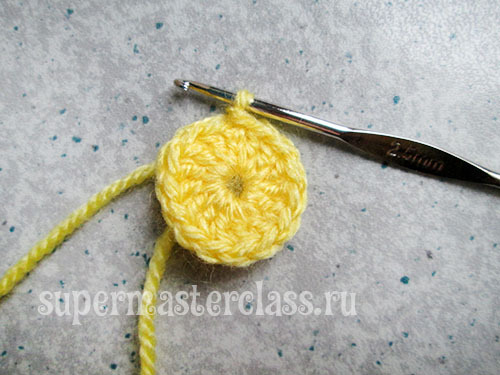 If you have several different skeins of the same quality, keep on your note this option of using residues. 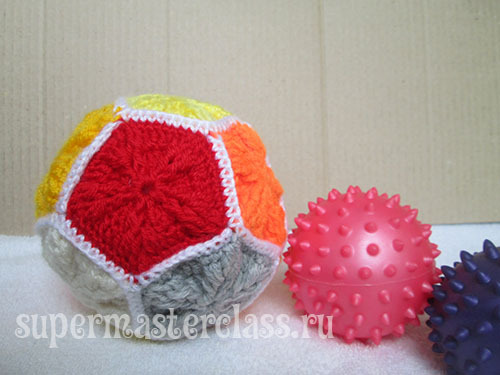 Such balls are a wonderful gift for familiar children. 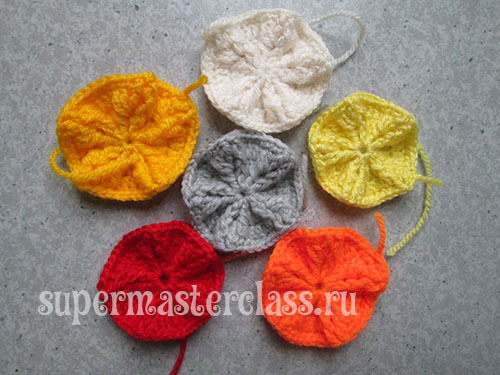 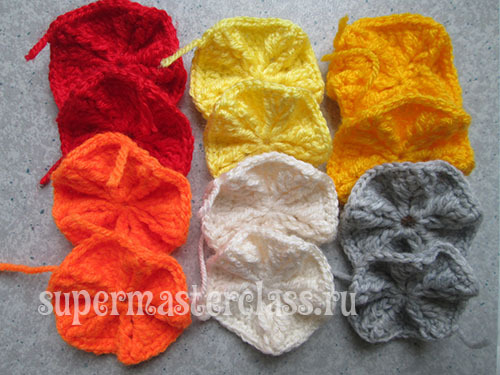 2.5 mm hook; 6-7 colors of acrylic yarn (300 m = 100 g); Sintapon or silicone for stuffing the ball.